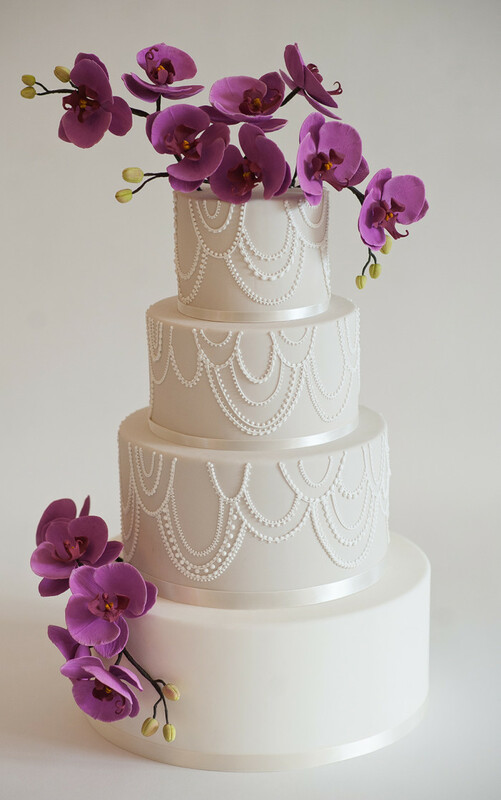 Delicate, hand-piped swags create the texture and detail that draws you in closer to take a look. 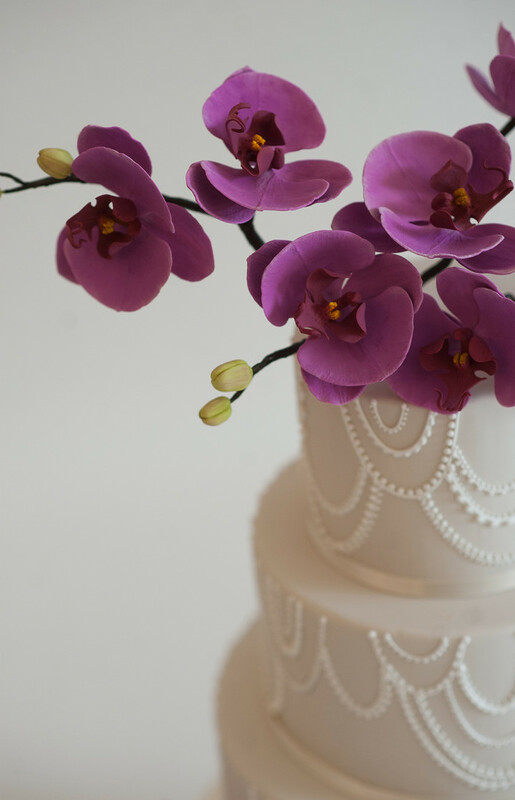 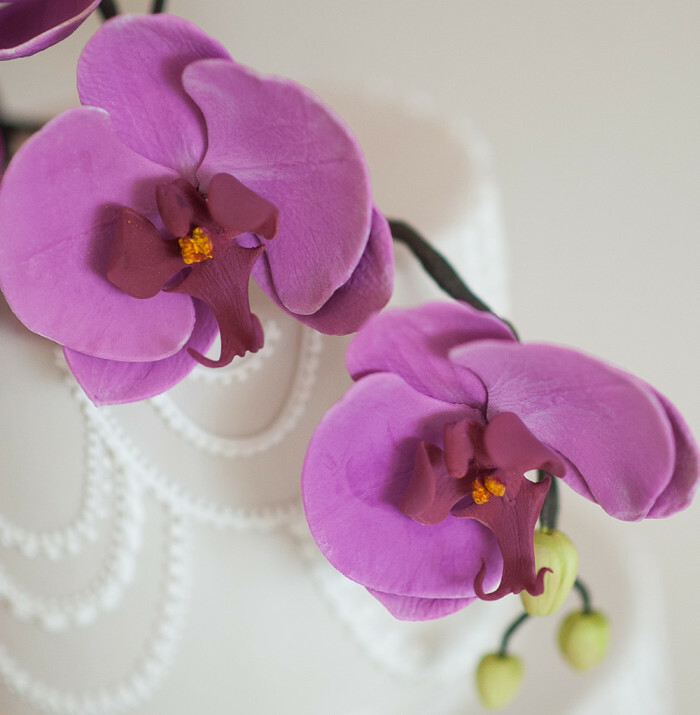 The organically placed fuchsia, sugar orchids add the personality and movement that truly makes this design special. 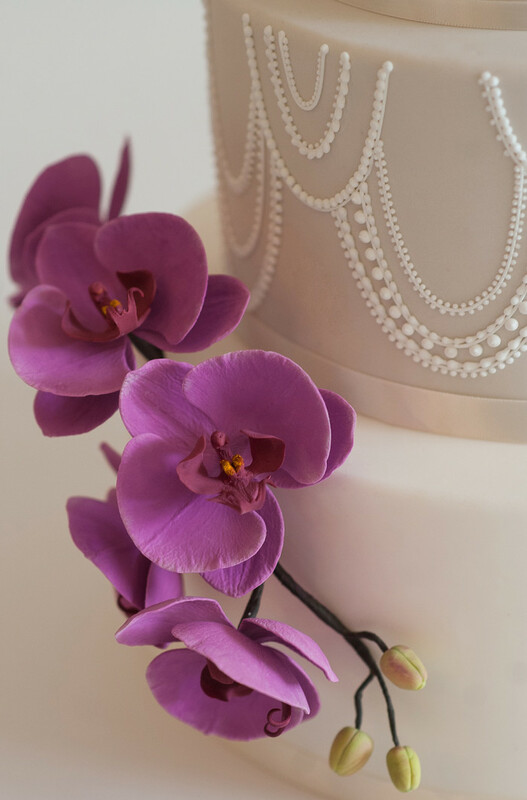 Cadence is for the Bride who wants sophisticated beauty with a bold statement.